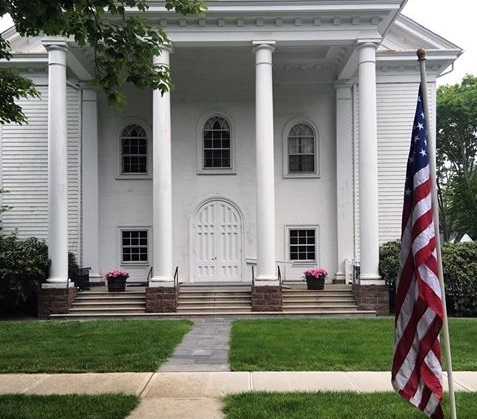 The First Presbyterian Church is one of the most visible and historic buildings in East Hampton--our carillon can be heard throughout the village. Founded in 1648, East Hampton is one of the earliest English settlements and has a long, rich farming and fishing history. The First Church was established by Puritan settlers that same year and evolved over the years, becoming a Presbyterian church in 1746. 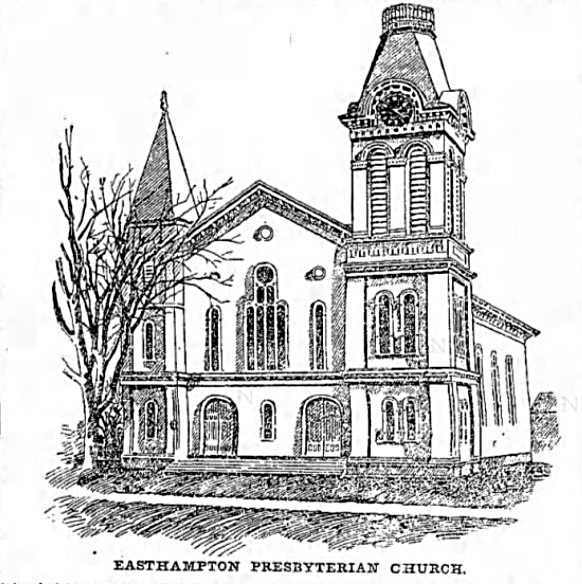 The minister at the time became a charter member of the Suffolk County Presbytery. This church was the only church in town for over 200 years. 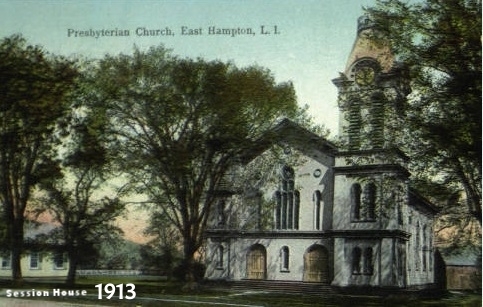 In 1861, about the same time the town began its transition into a growing, sophisticated summer resort, the church moved to its current location. 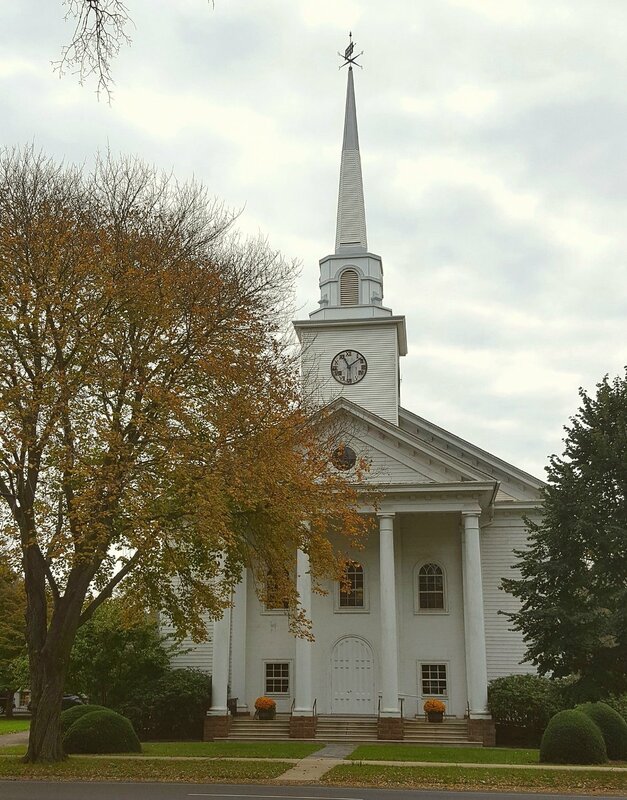 First Presbyterian Church traces its origins to this early, lay-led Puritan worship. 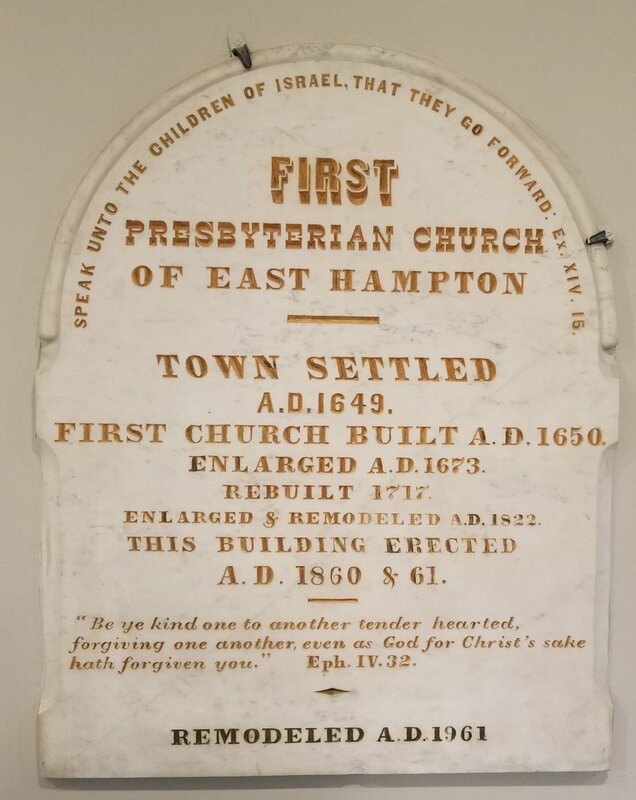 In 1648, Puritans bought several thousand acres of land from Montauk Indians and founded East Hampton on the eastern end of Long Island; there they quickly established a lay church. 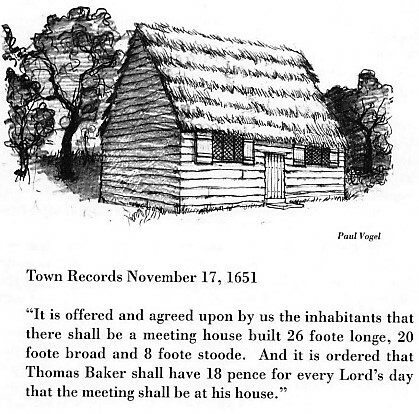 In 1648 the first settlers of East Hampton worshiped in"Thomas Baker's ordinary" or tavern. 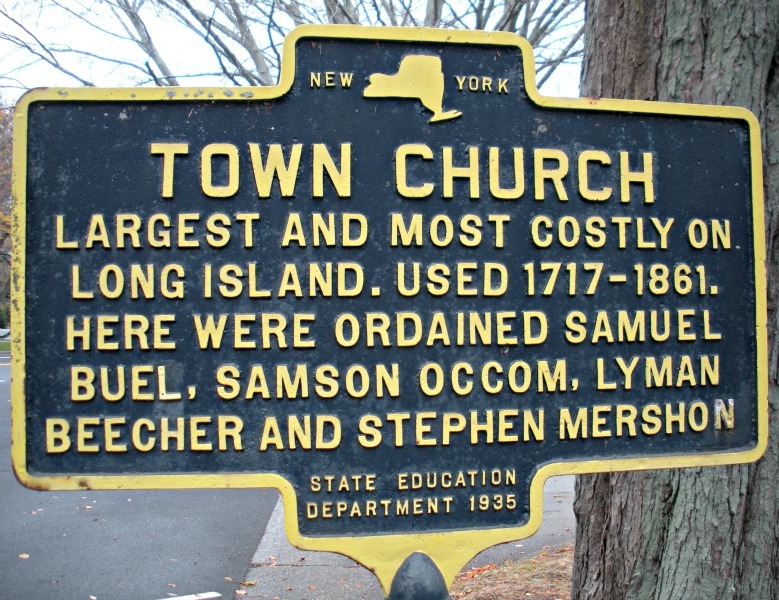 By 1651, the town council assigned a minister, Thomas James, and paid him a salary of 44 pounds and “one horse.” A meeting house, a rude log chapel, was built house in what is now the "South End Burying" ground. 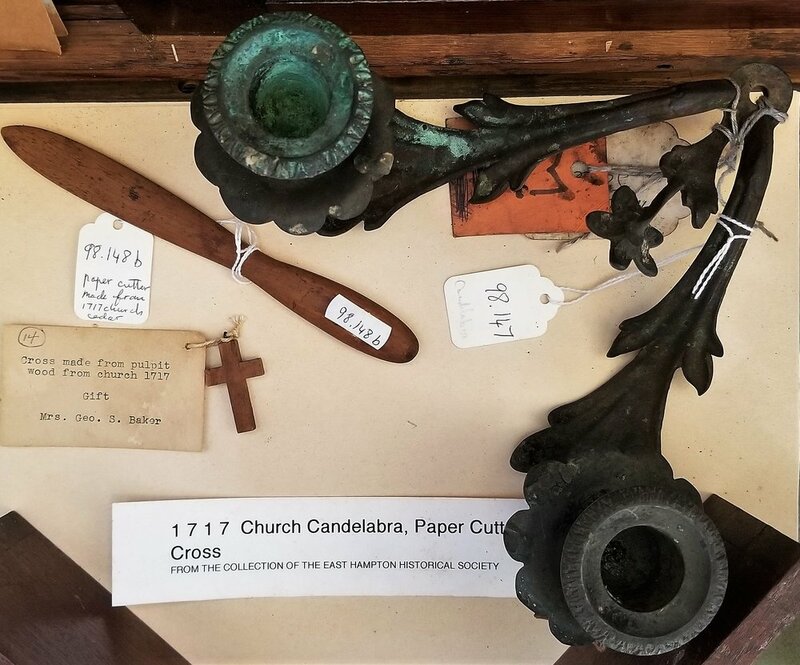 This important local artifact documents the history of East Hampton’s Meeting Houses. The top date 1649 is the date of construction of our first meeting house that had a thatched roof. The second building was built in 1717 memorialized by its date on this cooper banner. When a tower, clock, and steeple were added to the 1717 meetinghouse in 1753, this vane was constructed to honor the churches’ lineage. Oil on canvas, artist unknown, likely Connecticut river valley, c. 1785. The Reverend Buell was born in Coventry, CT in 1716 and educated at Yale University and was installed as pastor here in East Hampton in 1746. He and several wealthy residents created Clinton Academy in 1784. In 1717 a large and elegant building was constructed about where Guild Hall now stands. The building served the community for almost 150 years. 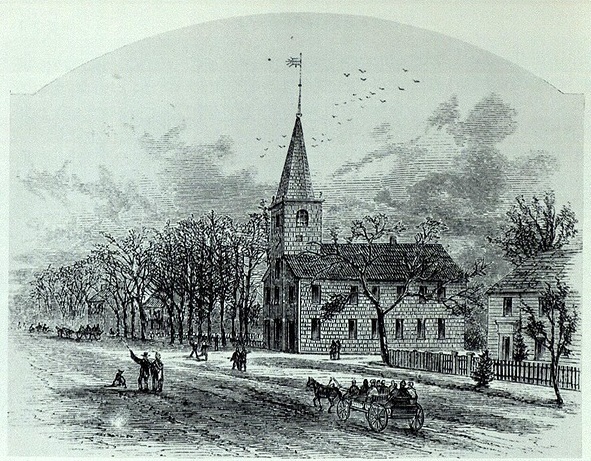 In 1747, this "olde Town Church" became Presbyterian. Original facade of 1861 Church in a Romanesque Revival style with double entrances. This church replaced the 1717 church. The church had two steeples. It was converted to a one steeple church in 1960/61. 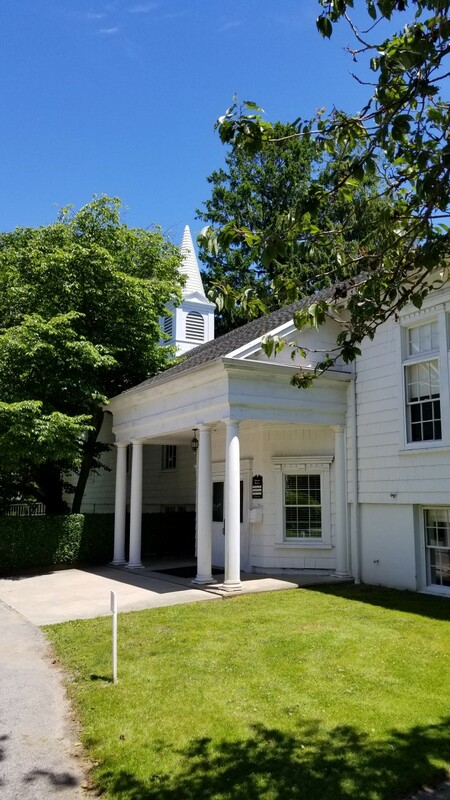 The present building was constructed in 1860 and extensively remodeled in 1960-1961 to resemble the "New England Meeting House" style of architecture. The Session House, originally stood on Main Street near where Whites Pharmacy is today. It was a community prayer meeting house. It then was moved alongside the church, facing Main Street, and was called the Chapel. 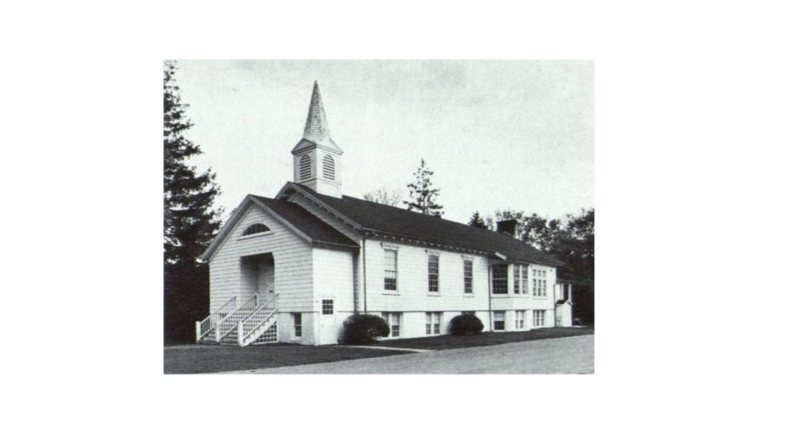 It was moved to its current location in 1926 and placed atop a large basement foundation for Sunday School rooms. The Steeple belfry of the Session House held the bell from the 1858 shipwreck of the John Milton. The steeple was destroyed in the Hurricane of 1938. It was rebuilt the following year and the bell was hung again. The bell of the John Milton was permanently loaned in 2012 to the Montauk Lighthouse Museum. The manse is home to the church minister. 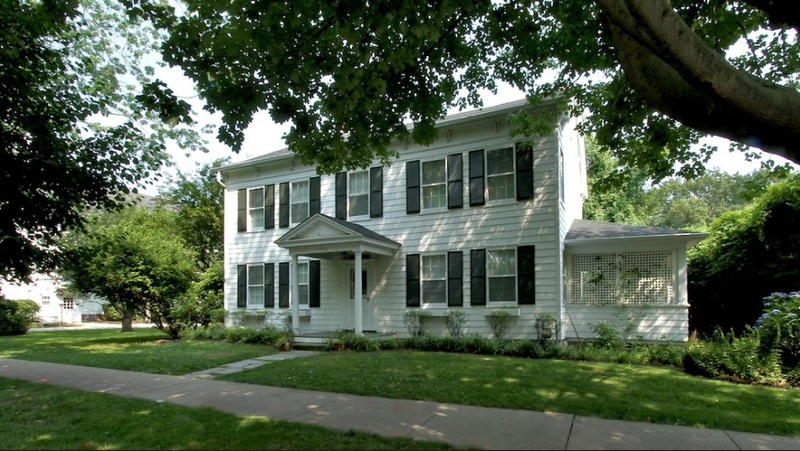 Originally built in c. 1830, it was expanded in the 1880s. Prior to becoming the Church Manse it was home to Thomas Isaac and Family. Rowdy Hall, was a home that stood, next to the church. It was moved to Gay Lane and later to its present location on the westerly corner of David and Egypt Lane.